Home/Primary Care, Rheumatology/How Does Rheumatoid Arthritis Differ from Osteoarthritis? Arthritis is arthritis, right? Not quite. Although there are over 100 types of arthritic conditions, there are two major types, osteo and rheumatoid, and even these are often lumped together in the minds of most. And although the general symptoms are very similar in all cases of arthritis, treatments can be radically different. This is because although the common symptoms of swelling and pain associated with the swelling, the cause of the symptoms differ among types of arthritis. Arthritis simply describes any condition causing joint pain. The pain ranges from dull, daily aches to sharp, intense, even debilitating attacks. Some types of arthritis are worse than others; none can be cured. Degenerative – of which, osteoarthritis is the most common. With osteoarthritis, the cartilage which provides cushioning in joints erodes. This allows the bones to touch or rub, causing pain. Inflammatory – Rheumatoid arthritis is the most common. With RA, the immune system begins to attack healthy tissue. Although there is no cure, the goal of treatment is remission and in some cases, RA is treated using therapies similar to cancer treatments. Infectious – When a bacterium, fungus, or virus enters the joint and grows, it causes severe joint pain which can be difficult to properly diagnose. 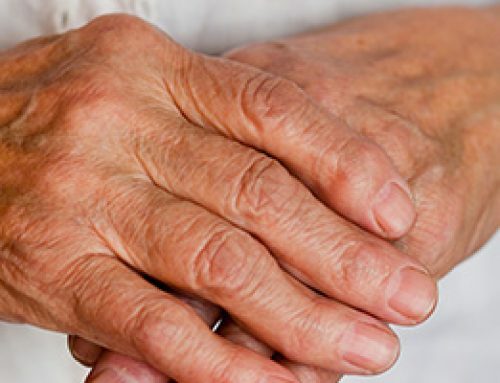 Those with the onset of Rheumatoid arthritis will often notice these symptoms but give no thought to RA until major symptoms such as joint redness, swelling, and pain appears. In the case of osteoarthritis, sufferers will notice pain when moving joints, tenderness when applying light pressure, and stiffness especially in the morning. Note that those with this form of arthritis do not experience the early, key symptoms of RA. This is key to understanding the difference between the two. Rheumatoid arthritis is caused by a problem with the immune system and Osteoarthritis is caused by a problem with the bones. Understandably, treatments are very different; however, as a multi-specialty health center, Kymera Independent Physicians can help with either.